Last week, we talked about Lightstream’s acquisition of Arsenal.gg, one of the leading sites in streaming statistics and data analytics. Today, Lightstream has announced yet another strong acquisition in the form of a company that recently had to close its doors: GameWisp. 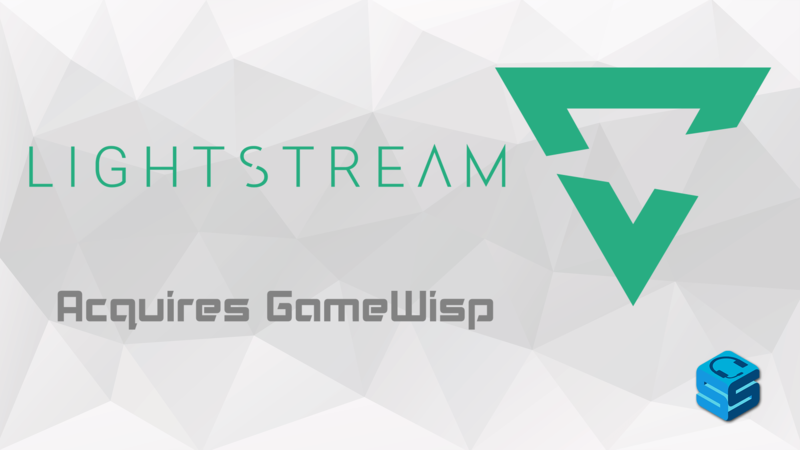 Lightstream didn’t specifically get the company but more the technology behind GameWisp. For those who are unfamiliar, GameWisp used to be one of the brightest companies to hit the streaming world when it first introduced its subscription model. Way before Twitch introduced Affiliates, GameWisp lead the way in allowing non-partnered channels to offer their community a way to subscribe to the channel for a return of rewards. These rewards were set by the channel’s owner and so were the tiers. So the owner wasn’t confined to just offering Tier 1,2, and 3 for their channel. You could modify the amount of tiers, how much each tier cost to be a part of monthly, and what each tier offered. It was a ground breaking technology that shook the world of streaming in the best way possible at the time. With the addition of Affiliate though, as well as a handful of competition to the streaming world like Mixer, YouTube, and DLive, GameWisp’s service took a major hit, making it unable to keep their doors open. It was an unfortunate fate to such an innovative idea. With the acquisition, Lightstream hopes to use this technology to offer more for its Lightstream Studio, the main product that offers the process of streaming free and easy without the technical hurdles many face. Want to know more of what Lightstream has in store? They just released a public roadmap that can be voted on for features! Excellent way to know exactly when and what will be dropping for them! Check that out here! We stated that 2019 is going to be a strong year for Lightstream and yet again another big piece hits the press about them making some seriously exciting news! I can’t wait to hear what they do next! Partnered Streamer for Mixer (https://mixer.com/halios00) Content Writer for Streamer Square Goofball for life! StreamerSquare is the number one resource for all things streaming. Twitch news, streaming guides, service and streamer gear reviews, we're here to help your stream to the next level.